There is an occurrence in the Ancient Scriptures that has quite a life lesson for all of us if we will be open. Let me introduce this life coach and her claim to fame story. Warning: This life coach is not pretty, is silent most of the time, comes across as stubborn and dumb, but when she speaks, angels listen. Her story is in Numbers, Chapter 22 in the Bible. 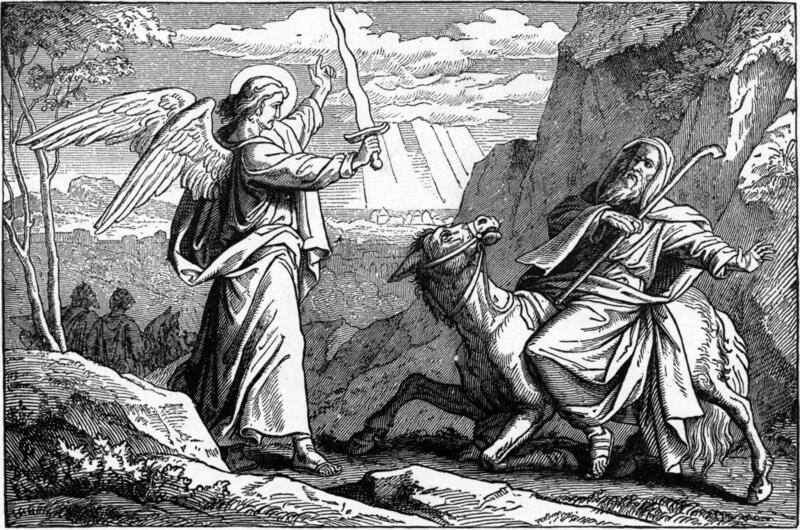 There was an Old Testament prophet by the name of Balaam. He was on a misguided, money driven mission to curse someone that God did not want cursed. As he was riding along his donkey suddenly stopped on the road. No matter how hard Balaam tried to get the donkey to move, the donkey would not budge. The donkey even pinned Balaam’s foot against a fence sending Balaam into a frenzy. Balaam started beating the donkey in a fit of anger. This may sound wild to you. A donkey, who is a life coach, angels sent by God and a prophet who was more pathetic than prophetic. But never be surprised by what God can do. This time God choose to speak through a donkey. God, being merciful, was merciful to an unmerciful prophet who didn’t deserve any mercy. The donkey pinned her tail onto Balaam. There is a lesson here. When the donkey you are riding on, who has only your best interest in mind, suddenly refuses to move, don’t kick it. Slow down, don’t let anger or some other fallen emotion guide you. Look for the angel standing on the road. There’s a reason that loyal, devoted donkey is not acting the way it normally does. That donkey could be saving your life. My mother used to say to my father who hated taking medicine, “A nagging wife may save your life.” She didn’t normally nag but when she did, it was for a good reason…to keep my Dad alive! There is a scripture in the New Testament that says, “With gentleness correct those who oppose themselves…” That’s exactly what that brown, shaggy, consistent, reliable, sure footed, big eared (donkeys have big ears for hearing what we don’t hear) life coach did. The donkey had more ‘donkey’ sense than that prophet of God. Think about it…”with gentleness correct those who oppose themselves…” Think of a boxer in the ring in a fight. All of a sudden, not only his adversary is boxing him, the boxer is boxing himself. We have all done that haven’t we? Many times in this life, we are our own worst enemy. Those life coaches who love us try to warn us but we have to do it our way. I’ve learned a thing or two on this in my ministry. As a pastor, I can usually see others issues clearly. I was known as Pastor ‘Love.’ I loved people and they knew it. But, sometimes I could see an angel in the way of where they wanted to go. When Pastor Love warns you, you should probably listen. It’s not in my nature to say no. Haven’t I been a faithful pastor all these years? Whoops…I leaked! There’s a bit of Balaam in all of us that wants our own way no matter what. We think circumstances are slowing us up, friends are not supporting us, our spouse is stopping us, the banker should have said yes to that loan, God is against us, and the pastor doesn’t understand us. But, many times, it’s a donkey just trying to save your life. Here’s some wisdom: Don’t curse the life coach!